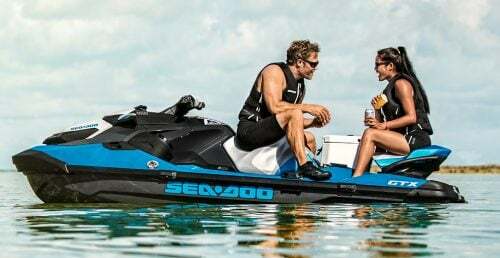 The Rec Lite class came of age in 2017, with Yamaha’s entrance into the category giving Sea-Doo’s Spark a worthy competitor. 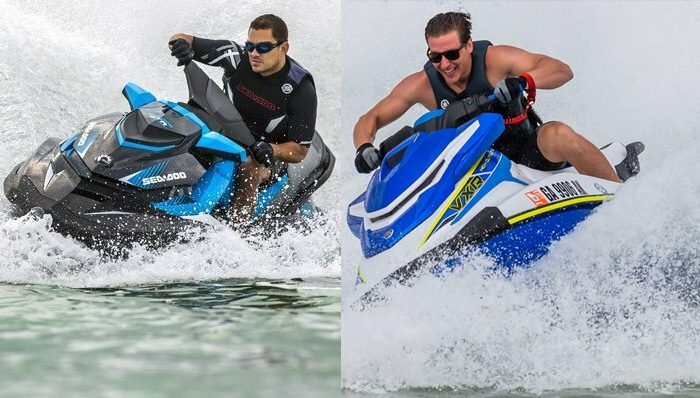 Yamaha breaks the line down into three models, the middle-child of which is the 2017 Yamaha EX Sport. EX models exploit horsepower-to-weight ratio, and as such the EX is noticeably smaller than other models in the current Yamaha lineup. Length overall is 10’ 3”, about 9” shorter than the now-midrange VX line. The Sport weighs in at only 584 pounds. 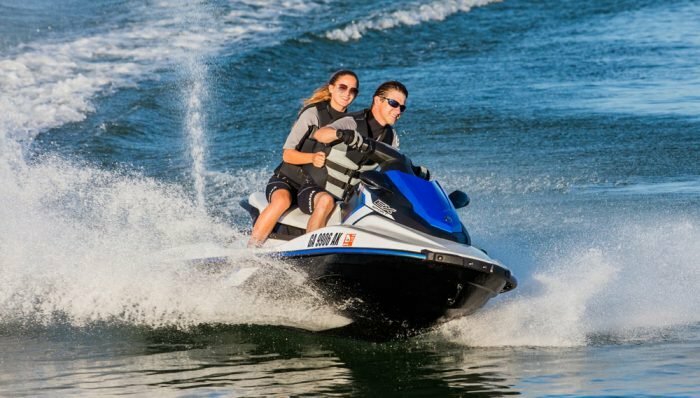 Into this smaller, lighter hull and deck, Yamaha places the familiar 1,049cc TR-1 engine, albeit in a mildly detuned 100hp variation. The end result is a package that accelerates with similar pull to the VX and tops out at an even 50 mph. 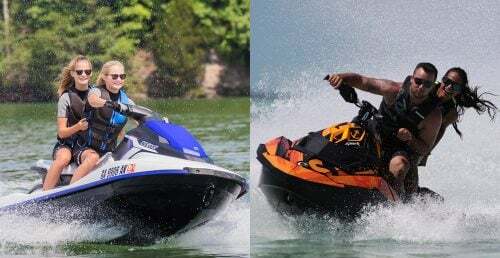 Comparing that to the Sea-Doo Spark? Obviously so is Yamaha. As a fellow competitor in the “Rec Lite” category, the EX Sport holds a slight edge in top speed. Yamaha claims 14% better fuel efficiency from the engine, although we have not tested this claim. At 13.2 gallons, the EX holds notably more fuel. In terms of how that package behaves underway, the EX handles much like the VX that preceded it as an entry-level model. It should, as the VX hull was used as the starting point for the design before being tweaked and scaled down. Stability is excellent, with a solo rider feeling confident and even the occasional trio not tipping the apple cart. 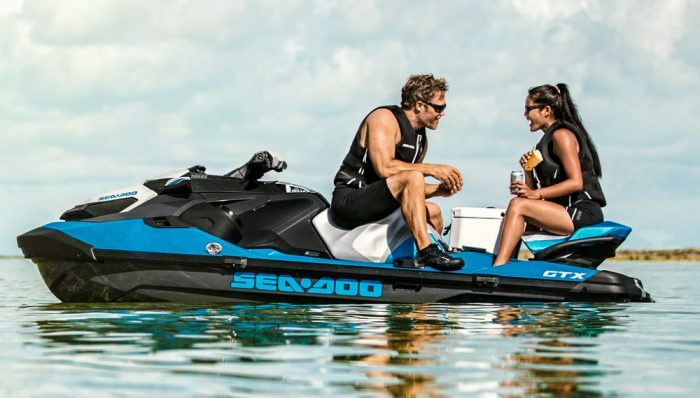 The latter was an important consideration for Yamaha, as the company wanted the craft to remain a true three-seater when necessary. Capacity is 529 pounds, 179 pounds more than the two-passenger Spark and 79 more than the three-passenger model. 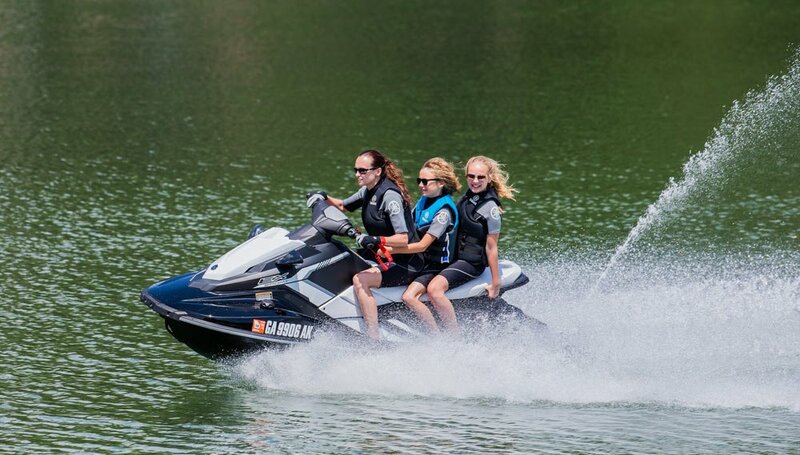 You can also count on the craft to haul the kids on a tube, skis or board. Driven aggressively solo, the hull is a little looser and more playful than the VX, but the manners can be changed via weight placement. 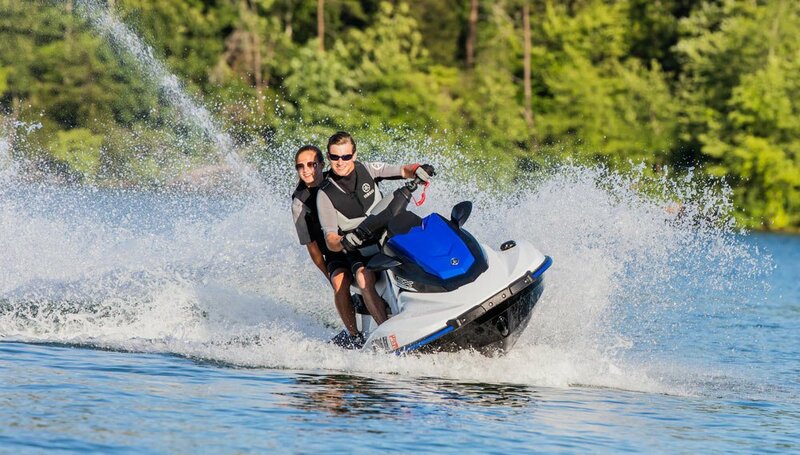 This gives the boat dual personalities that reward a variety of riders. 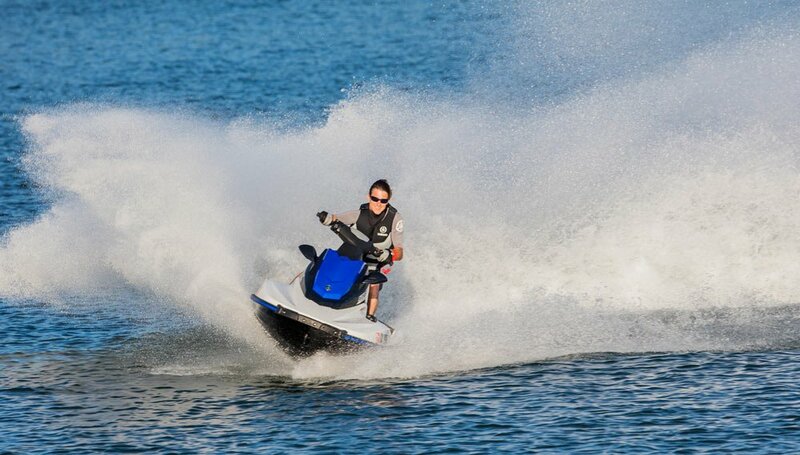 Delving deeper into all of the above, Yamaha was able to streamline the TR-1 engine for this 100hp application. The muffler and exhuast manifold were both downsized and lightened; the flywheel and coupler are now one unit; and both pump stator and impeller housing are combined into one molded piece. The changes trim cost, obviously, and are made possible by the lower horsepower. The deck features similar simplification. Though the EX clearly shows its Yamaha pedigree, it doesn’t share the masculine, angular bow compartment door with its integrated mirrors that currently shape the VX and FX models. The saddle is also narrower to match the boat’s overall footprint. The design offered a challenge, in that greater room was needed to access the engine compartment. 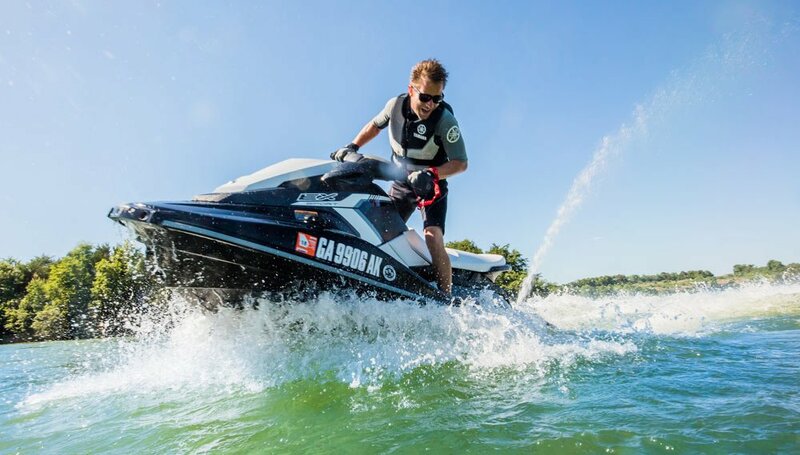 Yamaha addressed the issue by creating a composite sub-cowling that bolts to the deck. It creates the necessary space for charging the battery or changing the oil, but can be completely removed for more extensive service. Other than that composite sub-cowling, buyers will note that both deck and hull continue to be familiar SMC, fiberglass construction. Rec-Lite models place obvious attention on cost of entry, and as such features can be more limited. 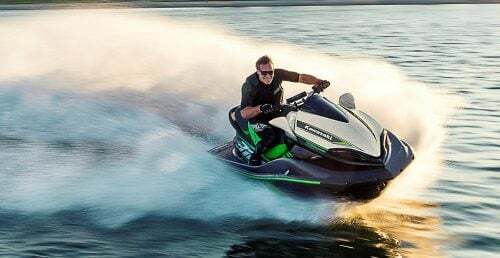 The EX Sport’s most notable omission is Yamaha’s heralded RiDE system, although the Sport does offer mechanical reverse via a lever to the starboard side of the console. (Editor’s Note: The EX Deluxe does offer the RiDE system.) The Sport also retains dual rearview mirrors, and a small, spring-loaded boarding step to the right of the pump outlet. 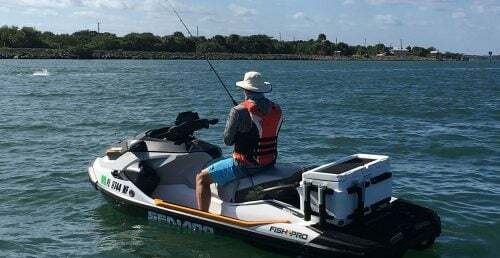 Yamaha also made sure to include standard storage, with over seven gallons split between shallow trays below the bow cover and under the saddle, and a large, water-bottle deep glovebox. Traction mats and ski tow hook are also included. 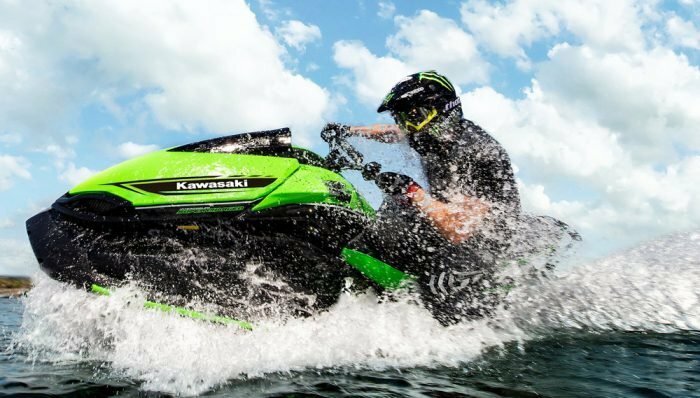 That’s a pretty good set of features – not to mention Yamaha pedigree – for $7,599. How does the Spark compare? 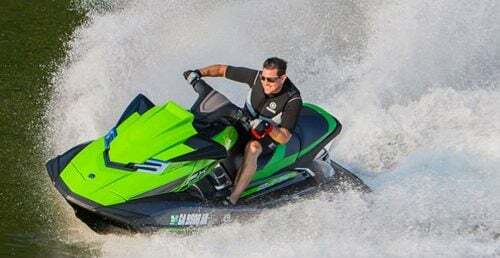 Optioned up to three-passenger capacity with the 90hp engine, traction mats, boarding step, front storage bin and manual reverse kit, the craft comes in at $7,194.